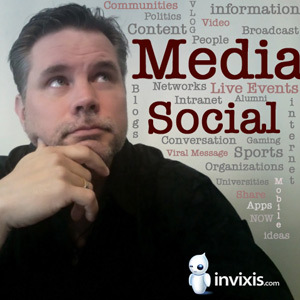 Social Media Evangelist & Invixis Founder Chris Potoski [ Interview ] : Talk Teck! Often although not always a technology leaders past and path follow a predictable pattern; high school geek turned college genius turned internet sensation.. think Twitter, Facebook, Google and many others. But sometimes the path toward success is a bit more ….. “colorful” and interesting … which brings us to our interview with Chris Potoski, social media evangelist and co-founder of Invixis Media Systems. Mr Potoski’s history, experience, path and outlook were so intriguing to us that we conducted the interview in two parts. Part two will be released just after Christmas and trust me… you won’t want to miss it! Talk Teck (TT ): Admittedly we didn’t know much about Chris Potoski, the thoughtful, passionate, gentle giant behind the quietly growing micro-social company Invixis Media Systems. Chris is not your typical bluejean, t-shirt & flop flop wearing tech guy. He’s the kind of guy who actually wears button down shirts, slacks and dress shoes to the office not because he’s pretentious but because he’s more comfortable. Chris, a family-oriented, athletic, wine snob with an impressive background in biotech, sat down with TalkTeck to discuss micro social media and their ambitious MerchantWho.com project ( expected to go live Q1 2011 ). So Chris, welcome and thanks for setting aside some time to chat with us. Chris Potoski ( CMP ): Thanks for having me, it’s an unexpected pleasure. TT : We have to admit, we didn’t know much about Invixis Media Systems prior to this interview. It was a press release regarding the television show Ghost Lab that piqued our interest. We visited your corporate website as well as the paranormal social network at EverydayParanormal.com which caused us to ponder… What exactly is micro social media and where do you plan on taking it? CMP: Well first of all thank you for asking that question first, usually it’s “So tell us about your logo … he’s so cute” < everyone laughs >. So when we began the Site Rhythm project there were already macro social powerhouses in the social space such as Facebook, Myspace, Twitter, Ning etc. As an individual who owned a reasonable number of domains ( around 1000 ) I was fascinated with the possibilities social media offered. As someone who was involved in corporate contracting for years however, I was and remain astounded that any content company would actually abdicate their social power and content to these sites and or companies. I also find it challenging to locate and consolidate topics of interest on the macro social sites. If I search for “wine” at Facebook or Myspace I end up with thousands of results that I then have to visit, filter, monitor and or post separately to. I would rather go to winelibrary.com and know that everyone there, and all of the information on that site is related specifically to wine. I love Gary’s site which btw would be an ideal micro social destination. So in short, micro social refers to smaller, customized, niche based, social media networks. TT: We’d love to explore the, “actually abdicate their social power and content ” statement further but for now let’s stick with Invixis & Site Rhythm which we assume is the product name given to your software. When did you begin the project and what were the initial goals? 1. To couple the content rich properties of sites driven by software such as WordPress and Joomla with the undeniable benefits of social media properties such as YouTube, Facebook and Myspace. 2. To differentiate our software platform. 3. To differentiate the business model. The realization of these three goals, we believe, makes us comprehensively unique. From analyzing content rich sites driven by software such as WordPress we learned a great deal about the benefits of text based content, search engine optimization, internal linking and advertising styles to name a few. Likewise our analysis of video based networks such as YouTube and Hulu provided rich insights into user preferences and video delivery. Lastly, as social media evangelists we have paid keen attention to Twitter, Buzz, Facebook and Myspace. We have studied what users of these networks are saying, how they are interacting and how these networks are monetizing. One interesting revelation of this analysis has been that no one was combining the power of these three very different platforms into one interface. Social Media Importance: I don’t believe it’s possible to overstate the impact social media has had in online entertainment. It is now the #1 online activity. Strip the search engines out and every one of the top websites in the world are social media based. Differentiation is key: We have never had an interest in competing with the 900lb gorillas. Honestly, in our opinion the general social networking space is becoming over crowded. Most if not all of us here enjoy Facebook, Myspace and Twitter. We believed any attempt to jump into this space would have been arrogant and misguided. Likewise, the Site Rhythm project was never meant to compete with platforms such as Dolphin or phpFox. We are not selling a pre-packaged, social networking, software platform. We are not interested in selling the ability to create and manage profiles. There are plenty of sites and software that do that effectively enough already. Our business model is uniquely different. The Site Rhythm™ software is a fully integrated hybrid incorporating elements of subscription based sites, WordPress, YouTube and Myspace or Facebook. I’ts dynamic, exciting, incorporates multiple live experiences, advertising options and its social. It is unique in how it structures profiles as well as content. The Site Rhythm™ project is also unique in it’s business model. What we are most excited about are the options and opportunities the platform provides for our clients their members and their employees. It allows us to explore multiple business models and prepare for the inevitable and continuous evolution in online entertainment. TT: So we have a clear idea regarding the differences between your platform and the macro social networks from a structure and feature standpoint; how is the business model unique? CMP: A well done article by TechCrunch, correctly identified that there are roughly three types of companies that have emerged in the space of white label social networking. c. The third type works very closely with clients to build a social network , on the companies servers, based on their needs. This is the approach at Invixis. The Site Rhythm™ project by Invixis focuses on a strong collaborative relationship with our clients. We believe, as did the TechCrunch article that there are significant advantages in this approach when it comes to providing for well-established organizations. Secondly, we provide our clients complete ownership of social network data and software. While a groupie running a Lady Gaga fan network on Ning does not care that the network’s data is locked up in Ning’s system, organizations such as sports franchises and Exxon Mobile prefer to keep their communication systems and content much closer to the vest. Corporations often need to know that their data is safe, under their control and trackable for both dependability and legal reasons. Agreements between Invixis and our clients are structured in such a way that clients are not only free to modify the code themselves but once satisfied clients are granted a lifetime license, free from additional licensing fees. This means that while the trademarks and copyrights of the Site Rhythm™ platform remain the property of Invixis Media Systems, our clients essentially own their copy of the software and are free to do with it as they will provided they are using it for their own internal purposes and not attempting to re-sell the software. Social network ownership is further ensured by either putting the Site Rhythm™ software and admin entirely on the client’s servers, delivering the hardware and software together as an appliance, or providing a managed, hosted solution under contract. Third, we are very flexible when it comes to how much of the work our clients want to take on themselves. While we do provide a complete array of initial and ongoing services to our clients we also respect that once Site Rhythm™ is set up and configured properly, clients may choose to run with the project on their own. From the manner in which content is organized in Site Rhythm™ to the structure and flexibility of our agreements, The business model at Invixis is truly unique. To us, Site Rhythm™ is not about social software, it’s about enhancing brands one network at a time. TT: So does your statement regarding companies abdicating their social power and content have it’s roots in your point about the Lady Gaga fan? Q. When you place your content on insert social network who then owns that content? A. The answer, via the TOS you “signed” is … Them not you. If Ning or Facebook etc shuts down a website, company page etc, they don’t send the content creator all of their content back on a hard drive. It is gone forever. Q. Who owns the data on those who “Like” you or are “Friends” with you on insert social network? A. The answer is … Them not you. Data is the currency of technology. When you abdicate to others you lose this currency or in my opinion worse.. you give this currency and thus power to someone else. Once again, ask yourself what happens if your company page is shut down? Can you contact everyone who, at one time “Liked” you? Q. Who receives the advertising revenue from traffic to your page on insert social network? A. The answer is … Them not you. What astonishes me most is, even after understanding these issues, people still state “But they have so much traffic”. I do my best not to fall out of my chair. TT: Based on let’s say Facebook’s 500 million plus user base coupled with their astonishing traffic, how do you respond to the “But they have so much traffic” statement? CMP: Yeah, so this gets back to my point that “there is huge value for companies when they use Facebook, Twitter, Youtube and the like properly.” I would never tell a company NOT to have a Facebook, Twitter or YouTube page… in general, the more the better. However the goal should be to use these tools to drive traffic back to your company website. Don’t put an entire article, video, product description etc on these sites. Put enough to influence or interest the user. If they have a need and you did your job, they will have zero problem going to your site to learn more. Now you have the power. TT: So can you share with us how you went from ghosts to the local shopping market? CMP: That seems to be a fairly diverse application of social doesn’t it? Originally, we wanted to focus our efforts on the sports, entertainment and educational markets. Following that focus, my friend and partner Tom Leach, contacted the hosts of Discovery Channel’s Ghost Lab through Facebook… now there is a positive use of a social network! One thing lead to another and we found ourselves on set with Brad & Barry in Deadwood, South Dakota putting together the deal for that community. They have been fantastic to work with and represent our first contracted clients. When the press release regarding Ghost Lab went out, it caught the eye of a gentleman in Raleigh NC who has spent much of his career focused on local search. He gave me a call and wanted to discuss the possibility of modifying our platform to create a social business directory. The concept is unique combining highly optimized, public, business profiles with local deal offers all within a true social environment. An environment that essentially matches local consumers with local merchants. TT: When will MerchantWho.com be ready for launch? CMP: Where Site Rhythm took two plus years to develop, the MerchantWho.com project will have gone from concept to launch in three months. There has been tremendous interest in this project and we anticipate launching in Q1 201. TT: Is the interest coming from VC’s , local businesses, consumers or? CMP: Yeah well .. who knew. I would have never guessed that this would be the project that “caught on.” Interest has come from local merchants, local consumers, large companies already in the local shopping space and VC’s. Gathering data, putting together presentations and trying to keep up has become a full time job for me .. and I’m thrilled. TT: With competitors already in the local shopping space, what do you attribute the interest to and are you pursuing funding? CMP: Well, while there are certainly competitors in the local shopping space, local deal space etc they all seem to focus on one aspect of local. The “Groupon’s” do deals of the day. The YP’s and Merchant Circle’s have highly optimized business profiles. Angie’s List sort of does both but it’s not public nor is their media social. So our project is truly different and combines multiple transactional revenue streams. When you can combine local with transactional and at the same time provide equal value to merchants as well as consumers… you have a wining formula. As far as pursuing funding… we are not opposed to it < everyone laughs >. To date we are 100% self funded, no loans, no Angel’s. For this project however I would welcome funding and direction. I have said this before, and it’s not some self deprecating trait….. I don’t know everything. In this case there are people far wiser than I who know local and have the experience and financial stamina to go from one market to hundreds. Can I …. we do it on our own? Sure but we are bound to make mistakes and it will be a far slower process. Based on our revenue model, this is conservatively a $400 million / year opportunity if we can expand into the identified markets. Proper funding would certainly expedite the expansion. Groupon is a perfect example of how proper funding coupled with experience can lead to great things. 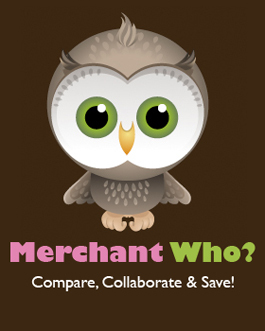 TT: One last question.. How did you come up with the name MerchantWho.com? CMP: That’s an interesting story actually. We receive a lot of compliments on our Invixis logo .. especially from females and 10-25 year old’s … they think “he” is simply adorable. Statistically the local shopping space is dominated by female consumers so we felt it was important to have a “character” that was equally adorable, memorable and capable of going viral. We conducted a number of informal focus groups through Twitter and Facebook … see another great use… and the results were overwhelming…. our Owl was a huge hit. From that point we spent probably 30 hours brainstorming and attempting to register domain names that made sense, something that tied the owl, with merchants or being a wise shopper etc etc.. nothing was available. We couldn’t even find something we loved at brandbucket.com which is usually pretty good. After 30 hours of nothing he nailed it in less than 10 seconds. We put it out there to the same focus groups and they loved it. What fascinates me are all of the great ideas people have sent us. One suggestion that we will definitely pursue is on all of the other domains (50+) we did not choose we are going to have a landing page, each with a special and different message, offer or “clue” from the Merchant Who owl. Kind of like where’s waldo with a twist. We have also received a hundred or so ideas for short, 15 second or less animated “commercials” which will be great for viral campaigns. Honestly the creativity and ideas have been overwhelming. “Who” knew an owl could elicit such a response? TT: Well Chris, this has been different and fascinating for us. We hope you’ll come back post launch and let us know how things are progressing with the MerchantWho.com project. CMP: Thanks for having me and I’d be honored to come back.